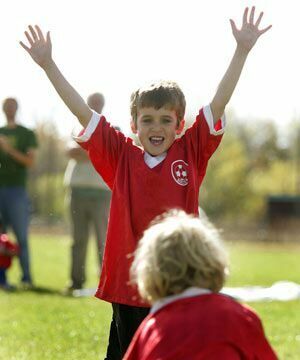 Back to school means back to school sports, or maybe it’s back to fall travel sports for your child. To give your child the best chance for success and to help them fully enjoy the season, your attitude as a parent is hugely impactful. Start your child’s new season with these attitudes and I’m pretty sure you will have a season that is not only more enjoyable for you but is also more fun and growth-filled for your child. As you look to another year of school sports, wipe the slates clean. Parents, athletes, and coaches all deserve a chance to begin a new season free of being judged for past mistakes. 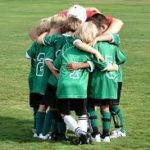 Who do you want your child to be after they are done playing sports? Let this vision guide your behavior this season. Winning is fun, for sure and everyone wants victory. But don’t forfeit good character in the process. Let your children learn how to push themselves. Let them develop at their own pace and remember that their progress is a journey and will not happen overnight or even in this season. Encourage and challenge them, but back off enough to let them learn how to push themselves. Love your child regardless of the game. Your child needs to feel your love, no matter how they perform. Refrain from comparing them to other players or siblings. Be the parent, not the coach. This includes not distracting them from the sidelines or the bleachers, telling them how to play. It also means that the car ride to and from the game should be a coaching-free zone. Look for ways to help the team and encourage the coach. Your positivity will be felt and greatly appreciated! Keep balance in the home. Be sure that you and your child have interests and activities outside of sports. Thank the people who make the season possible: volunteers, officials, and coaches. A little appreciation can be a huge encouragement to people who work hard. Don’t blame the coach, official or players for your frustrations. Accept responsibility for your negative emotions. The situation may be frustrating, but you have a choice in how to react to it. And let’s not forget to encourage kids to have fun as they work hard. That will keep them playing longer and forming good physical fitness habits that can last a lifetime.